This Event has been read: 138 times. Proof that drinking does enhance your athletic performance! We’re training for the wine drinking Olympics here at Wine Watch and rounding all the bases this week we have a workshop on the wines of Alsace, Germany and Austria. 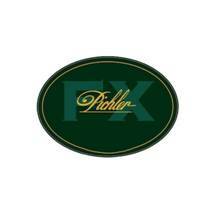 It was just a few short years ago that Germany produced the world’s most expensive wines on Earth. A few world wars and wine consumers taste changing from sweet to dryer wines have put Germany behind the other great European wine countries in popularity for now. But, they still make some of the world’s best wines focusing almost entirely on a single varietal with Riesling making up over 50% of the planted varietals in this country. Alsace is part of France today but its wines resemble those of Germany more than the rest of France with Riesling and other aromatic whites making up the majority of their production along with a tiny bit of Pinot Noir. The wines of Alsace are varietally labeled and they seem a bit easier to understand than the rest of France which doesn’t usually put the grape varietal even on the label. Austria is another great source of aromatic whites along with a bit of Pinot Noir as well as a few other unique reds like; Zweigelt, Blaufränkisch, and St. Laurent. This country bottle for bottle produces some of the most expensive wines in the world. If you look at the average cost of a bottle of wine produced in Austria they are second only to the Swiss in highest on average price for a bottle of fermented grape juice. 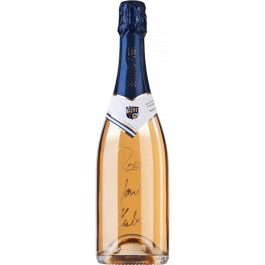 One of the top German producers of Pinot Noir also makes one of the best methode Champenoise sparkling wines made in Germany! No destemming, crushed and pressed, with some skin contact, but depends on the vintage. In 2017 it was minimal. Naturally fermented in stainless steel and in steel on the full lees for 5-6 months before racking and bottling. There is no lees stirring here “I want to do as little as possible to disturb the lees. I love to work with yeast, but you must be gentle.” Says Christian. No destemming, crushed and pressed, with some skin contact, but depends on the vintage. In 2017 it was minimal. Naturally fermented in stainless steel and in steel on the full lees for 5-6 months before racking and bottling. There is no lees stirring here “I want to do as little as possible to disturb the lees. I love to work with yeast, but you must be gentle” says Christian. David Schildknecht has noted that "consistent excellence – like age worthiness – has long been a hallmark of Joh. Jos. 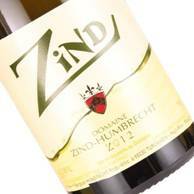 Prum Rieslings." 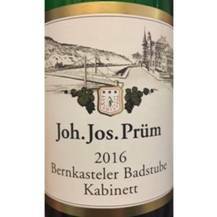 .More fruit and weight than their Graacher Himmelreich, with a lovely cherry blossom character on the mid palate and impressive persistence. Pretty much the perfect Mosel Kabinett. 17+/20 points. Drink 2018-2031. (RH) (9/2017) Jancis Robinson. This wine is still a baby but a great vintage that is now almost 20 years old, it will be interesting to taste this mature example of Riesling from one of the great producers of the Mosel. The new foudre (large old oval oak cask) influence is negligible and only a very sharp taster would be able to detect its presence. The light toasty aromas combine with herbal and white fruit, light smokiness and chalk on the nose. The palate is very elegant and shows little of the sweetness. I did rate this wine indice 1 for a long time before I saw the analysis! Long finish that feels dry but so easy to drink, already today. 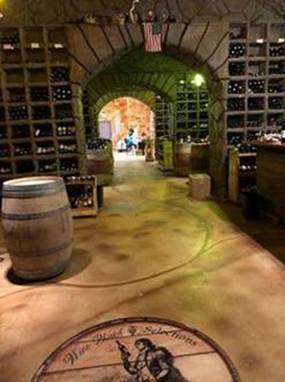 This is a walk around tasting in the Wine Cave and is $45 per person, for reservations call 954-523-9463 or e-mail andy@winewatch.com.